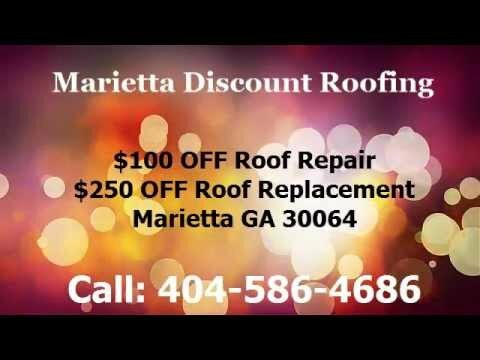 Looking for a Marietta GA Roofing Contractor? Look no further! Needing a major commercial or home roof repair can be a real hassle. But it doesn’t have to be a nightmare. At Marietta Discount Roofing, we believe it takes integrity and experience to turn a nightmare… into a dream! Looking for Commercial or Industrial work? We can help there too! Call 404-586-4586 for a FREE Estimate and quick response. We are a local, family-owned, family-run business operating in Marietta GA.
We do our very best to educate YOU on your options. Bottom line? We would like to see better informed customers making better informed decisions. It’s just that simple. And to help us in that endeavor… feel free to check out any of the articles over in the left hand nav bar! How long has their company been in business? Just a few minutes of research can give you some added peace of mind. Want to learn more? Check out some of the topics in our helpful blog tab – in the nav bar above, and you’ll get the lowdown on what to look for and watch out for… It’s there for your protection! What choices are best for my budget and type of home or building? We offer all customers a 24/7 rainy day roof covering. Perfect for those last minute surprise leaks and drips. We’ll keep you dry! Whether it be Residential, Commercial or Industrial! In addition to residential homes, our specialists take on major Commercial and Industrial jobs annually. The most important point on your checklist is that you be protected from liability should a roofer, or anyone else be injured on your job. Be aware of some tricks that some roofing companies employ to fool you into thinking they have valid insurance that will protect you. Here are some tricks, which if used, will not give you any protection, and leave you liable for any injury or death of any workers. They will show you a copy of their insurance certificate, but it may not be in force. The name on the policy will be different to the name of the contractor on your contract. Your contractor will have a valid insurance policy, but the coverage may not include roofing. To assure your protection a professional roofer will carry “Worker’s Compensation” AND “General Liability” insurance. A professional will be happy to give you the name of his or her insurance carrier and agent. You can then independently verify that a policy is in force, and that it covers roofing specifically. You can call the carrier and ask them to send you a Certificate of Insurance. They will be glad to. It is part of their job. Do not accept a letter or certificate directly from the roofer as proof of insurance. That’s simply not the way things are done.Anyone who claims they are exempt from carrying insurance, or that your homeowner’s insurance will cover you, or that they are self-insured, may not be telling the truth. Don’t take a chance! The consequences of hiring a roofer without insurance is too great. Do business with contractors who care enough about your welfare to insure your job in a professional manner. A quality applied roof will enhance the look and feel of your home and last you many years to come–in addition to added peace of mind… So don’t wait! Call us today! Call us at: 404-586-4686 and claim you discount when you contract us to either repair or replace your roof.